Bakers Complete Adult Rich In Chicken with Country Vegetables - 14kg. 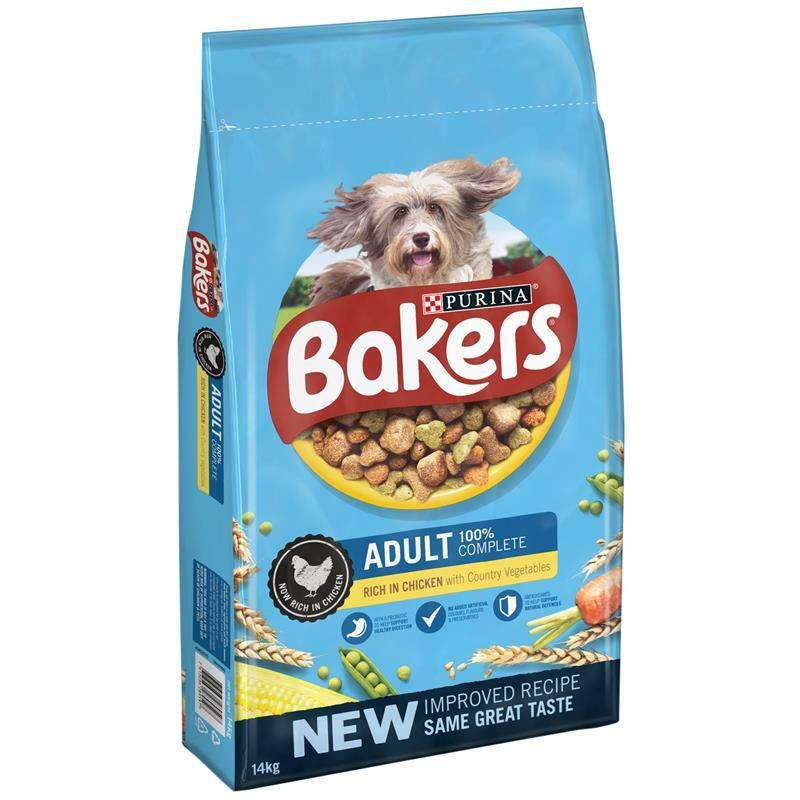 The perfect nutritional balance for your adult dog, Bakers Complete adult contains the everyday nutrients that your friend needs to keep him happy and healthy. The perfect balance of taste and goodness in every bowl. With a prebiotic to help support healthy digestion. No added artificial colours, flavours & preservatives. Antioxidants to help support natural defences.